On 21st July, at a time of heightened tension following the murder of a Banbridge policeman by the Irish Republican Army, notices appeared in the shipyards calling on the predominately Protestant workforce to drive out 'disloyal' workers. Hundreds of apprentices marched into Harland & Wolff's yard and ordered out Catholics and socialists, kicking them and pelting them with rivets. That evening shipyard workers were stoned on trams when passing the Catholic Short Strand area in Belfast. This was the start of three days of civil unrest in the city that resulted in more than a dozen deaths. 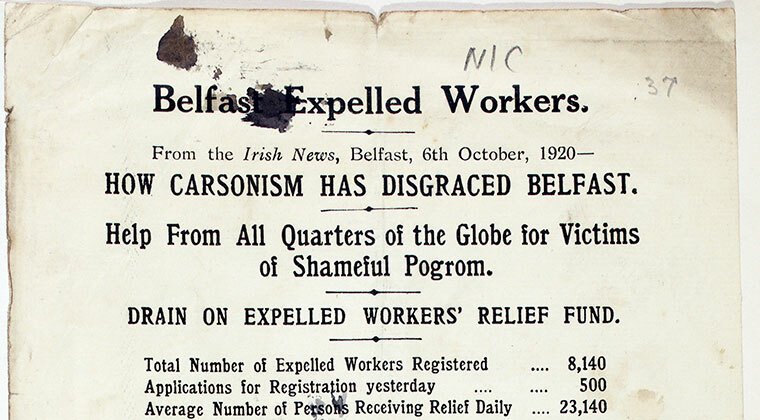 Catholic workers were also expelled from other major Belfast businesses such as Sirocco Works, Mackie's, Musgrave's and Combe Barbour's. 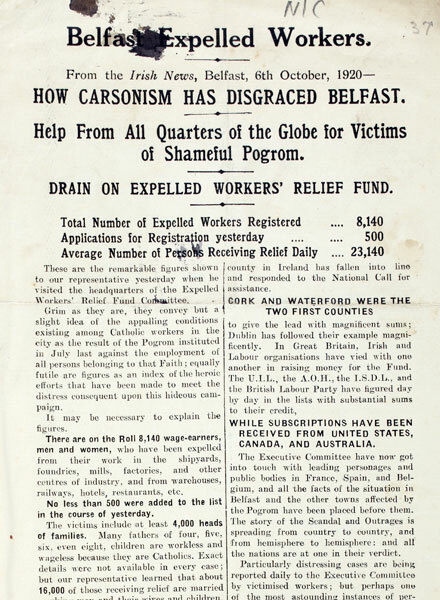 With the economic depression that hit Belfast in the mid 1920s, very few ever got their jobs back. 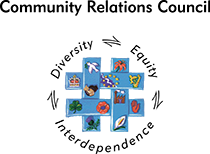 Sectarian violence engulfed Belfast over the summer months, and also towns such as Banbridge and Dromore. 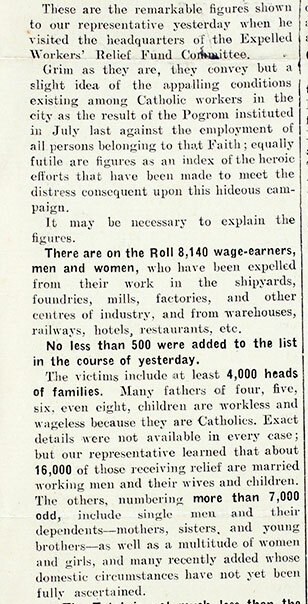 Belfast Expelled Workers' from the Irish News, Belfast, 6th October 1920.